It’s a miracle that Leontopodium Blossom of Snow exists! 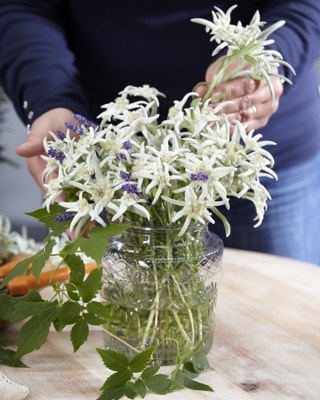 This beautiful plant, also called Edelweiss, was almost extinct. The Sound of Music is partly to blame. This movie caused a real Edelweiss-craze. Fans went en masse to the mountains to pick Edelweiss. Now Edelweiss is a protected species. Fortunately we can enjoy Blossom of Snow to the fullest. 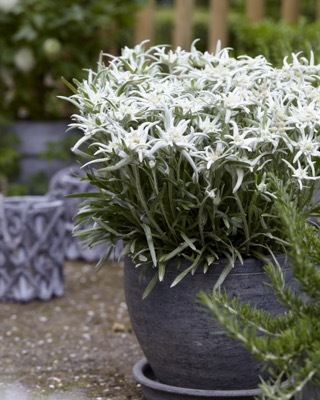 This new Edelweiss variety blooms like no other. Not once, but twice a year: in summer and again in autumn. Blossom of Snow has characteristic, large star-shaped flowers. 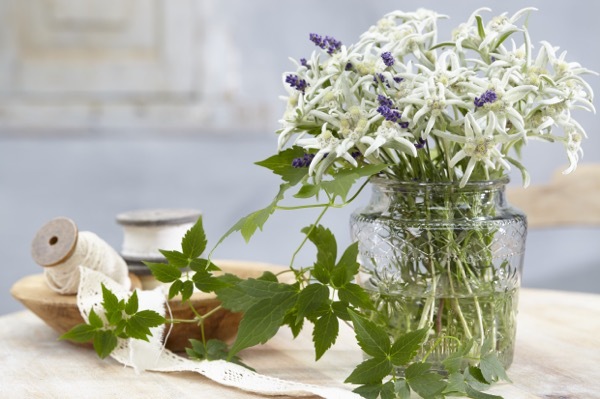 Its flowers are pure white with a yellow center, which gives a refreshing look combined with its silvery foliage. Blossom of Snow grows to 16" high and 24" wide. This perennial is an excellent choice for rock gardens, mixed planting, perennial borders and as solitary in a container. 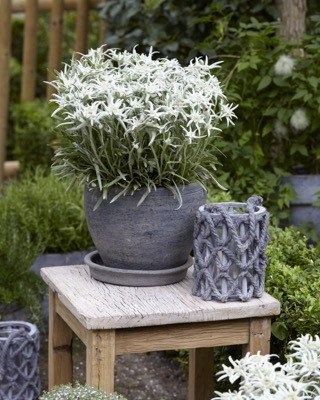 And did you know Edelweiss is also suitable as cut flower? That is because of its exceptionally long flower stems. Leontopodium Blossom of Snow is very hardy. Put the plant in full sun in well drained, sandy soil. Prune Blossom of Snow after it has finished flowering. 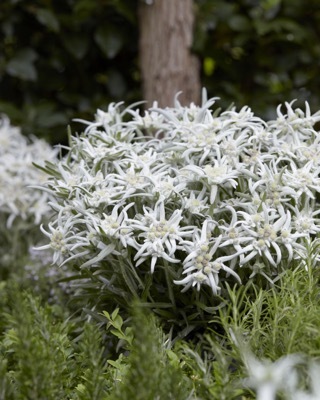 Other than that, this gorgeous Edelweiss hardly requires maintenance.